SAMAKI'S range of Archer rods are built for lure fishos with a range starting with an extra light 6’9" 2-6 lb spin for the finesse angler targeting bream in estuaries or trout in the fresh. Next is a light 6’11" 4-8 lb spin model for targetting bream and flathead or freshwater impoundment species such a bass and yellowbelly. There's also a medium, heavy and extra heavy 7’0” spin model designed for inshore plastics or throwing slugs at pelagics. Casting/baitcaster options range from the new 7’0” medium heavy 10-17 lb suited to big rubbers and vibes, and the 6’0" medium heavy and heavy models designed for summer Murray cod or saltwater barra and jacks. Samaki says the range "hits the nail on the head with design and componentry". The Archer range is crafted from crisp matte-black blanks for transmitting the slightest of bites, carbon locking rings with gold trim detail, composite AA Cork and Ultra Hard EVA grips, plus the new Fuji Fazlite guides. 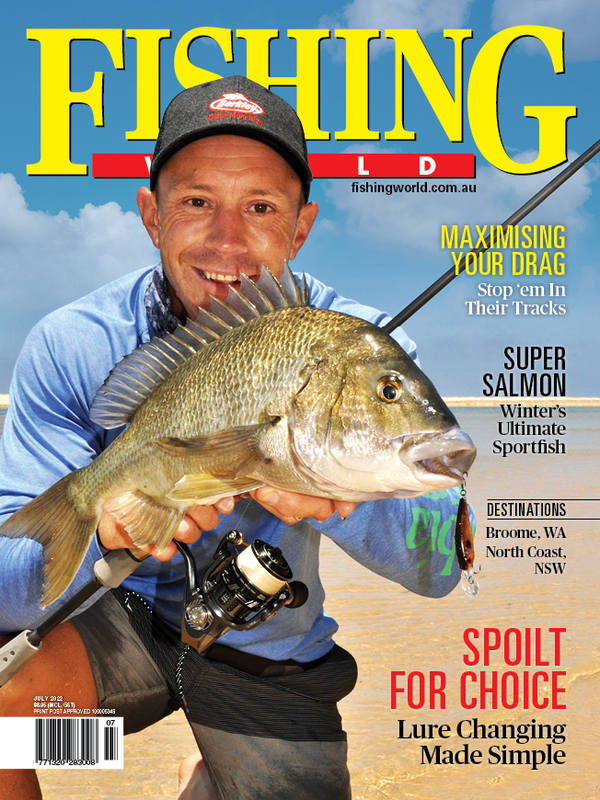 For more information and stockists visit www.samaki.com.au.